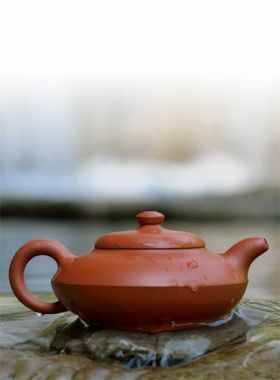 As a classic type of Yixing teapot, Jing Lan Yixing Zisha Teapot is absolutely a great choice for collection and gift. Fanggu, written in Chinese as 仿古 (fǎng gǔ), is originally know as another phrase: 仿鼓 (fǎng gǔ). 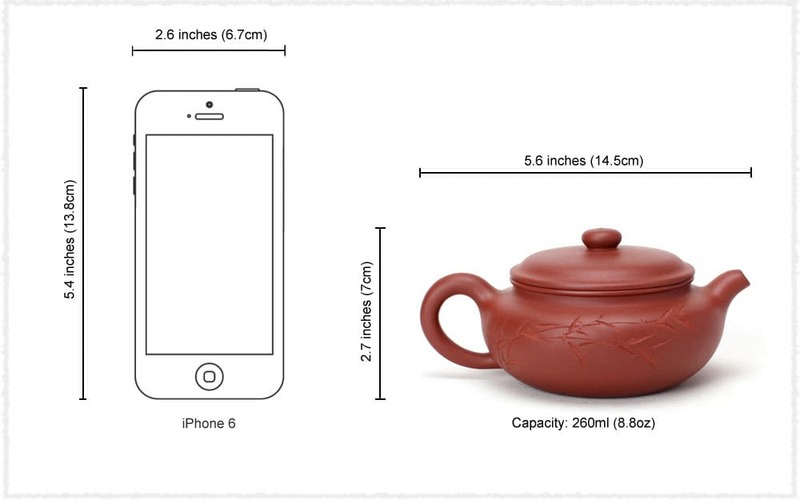 仿鼓 means the teapot is modeled after the appearance of drum. This style started since Qing Dynasty. Till now people still make this teapot by imitating its old crafting style. So it is renamed as 仿古, meaning making the teapot in an antique style. 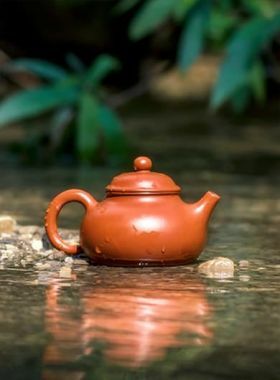 At present, TeaVivre have three Fanggu Zisha Teapots: Classic Fanggu Teapot, Handmade Fanggu Teapot, and this Qing Xin Fanggu Teapot.Qing Xin Fanggu Teapot. Compared with other two Fanggu Teapots, the prominent characteristics of this Qing Xin teapot is the artificial carving calligraphy and painting on the body, with the author’s name, production year and Chinese words “Qīng xīn kě pǐn chá 清心可品茶” on the front. The five Chinese words mean that you can find your inner peace by drinking teas. 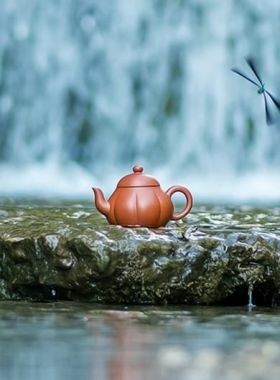 On the other side of the body it is carved with bamboo branches and leaves, the author wants to seek a quiet world, so this teapot is named “Qing Xin”. Huang Wei, a post-70s young Zisha artist, painter of handicraft, was born in Dingshu town, Yixing city, Jiangsu province and his father is also a Zisha artist. 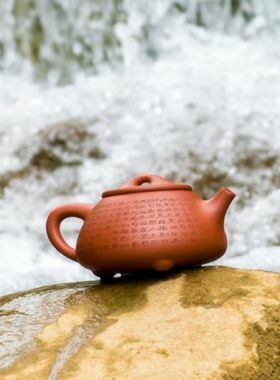 He knew the Zisha art from his father since his childhood, and has accomplished a great deal in the field of Zisha teapot's handcrafted formation.